I presented at Style & Class on feedback and the attitudes, processes surrounding feedback and how it can improve outcome so and overall satisfaction. 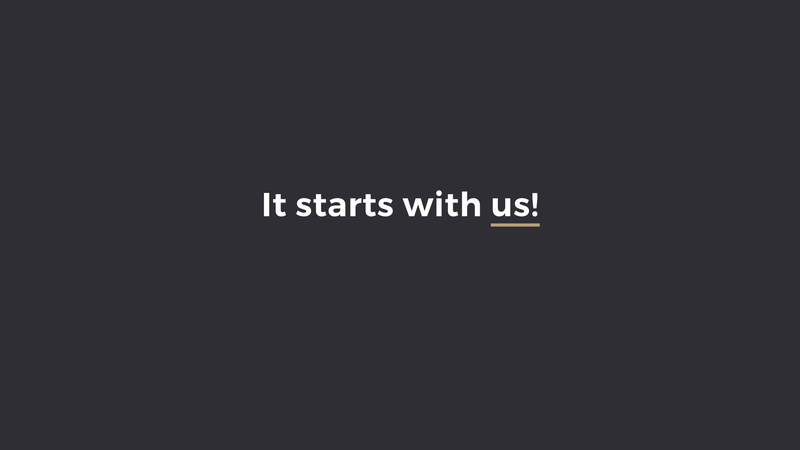 Style & Class is a meet-up for developers, designers and content creators – with a focus towards web. This is an outline and paraphrase of my talk. Hello, I’m Damian and I am a designer. 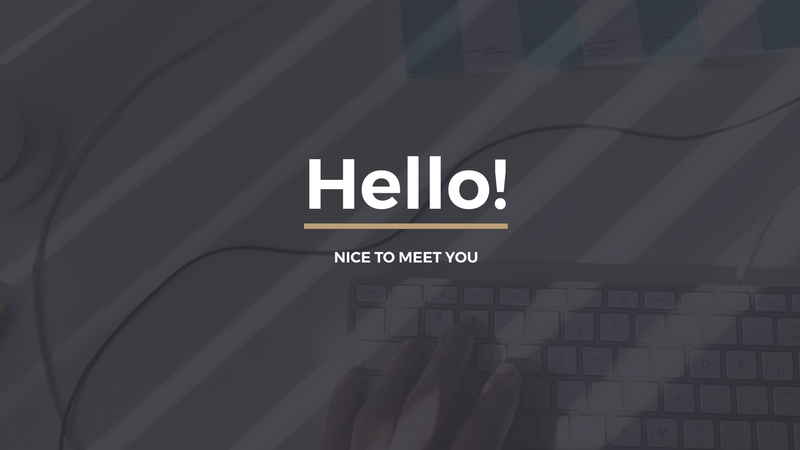 I work in web UI design – and that is what I love the most. 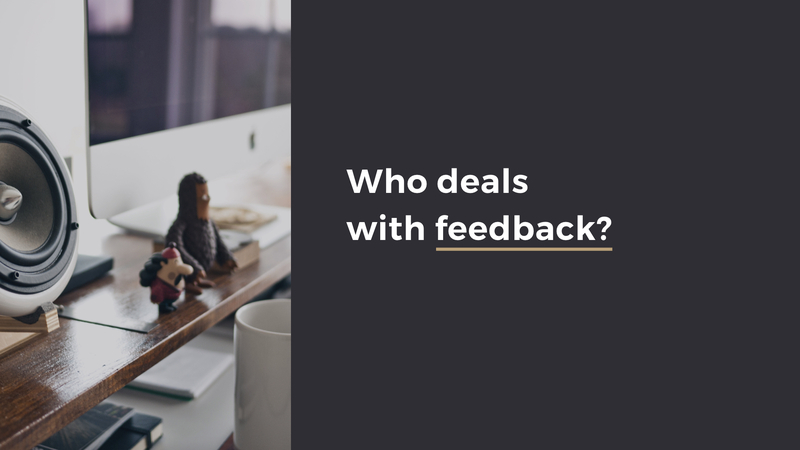 I want to pose a question to the audience: Who deals with feedback? Feedback affects a lot of us (if not all) in someway or another in our roles, also our day-to-day lives. That last part ‘used as a basis for improvement’ is very important, which we will cover more. I want to point out again that, I am a designer. That is where my perspective comes from, and this diagram reflects that – but this idea can be applied to many situations in our work lives of someone giving feedback, and someone receiving feedback. 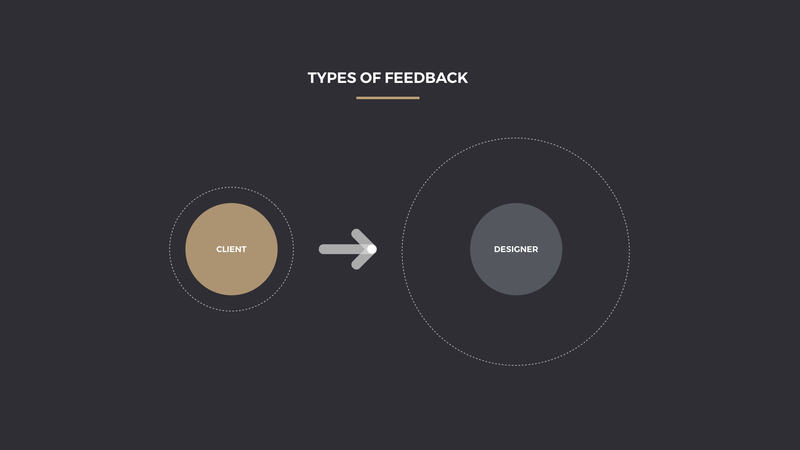 We might think about feedback in a singular way; for example from client to designer. This is an example of types of feedback that I receive on any one project, in any one day. From the client side, we may have a committee, a board or a CEO providing direction and feedback. 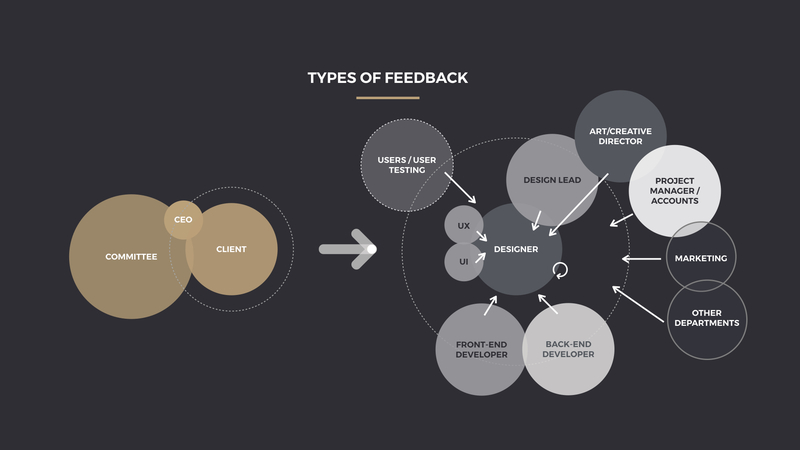 There is internal feedback from a Creative Director, a design lead, between UX and UI design (and other streams of design); from the project manager or accounts team. There are developers who need to be consulted to make sure what is designed can be built within scope. 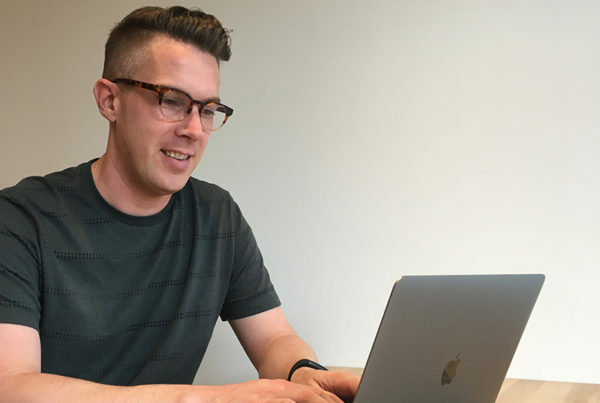 When we look into the developer processes, there is feedback internally within those departments such as code reviews and potentially feedback through the quality assurance (QA) process. Other departments may also give feedback on a project, such as marketing. We get feedback from users with user testing and even data. We also give feedback to ourselves, which is important to acknowledge as well. Then there is even more feedback we can get from friends, family and strangers and outside perspectives. Feedback also opens up communication that goes both ways. This isn’t just relevant to designers and developers. Wherever you possibly sit in the diagram feedback is important. Even if you are part of another industry I’m sure we could produce a similar diagram showing the many areas feedback comes from. I’m going to ask for a second show of hands: who deals with feedback? We should all raise your hands. 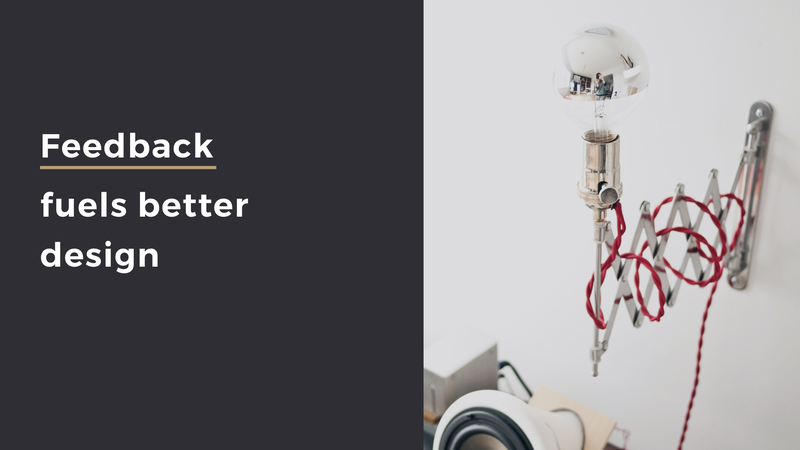 I want to share with you why we should embrace feedback, the reasons I love feedback and how it can benefit your work. 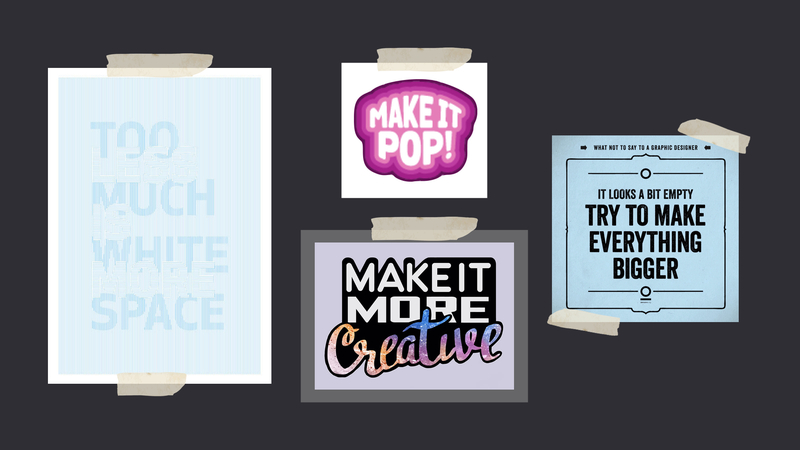 These were all taken from recent articles, including one of my favourite design resources InVision. Respectable and trustworthy sources are making these parodies. I’ve worked at offices that have suggested a “Wall of shame” to post the most-hated feedback from clients. These attitudes towards are not constructive or conducive to successful outcomes. They don’t get us anywhere. Let’s change the conversation, as an industry, from defensiveness and parody to engagement and shared learning. Each piece of feedback is an opportunity for growth. Feedback shows that your audience is interested in your work. And that is a great thing! Everyone giving you feedback has the same goal so you do – they want you (or your work, or project) to be successful. 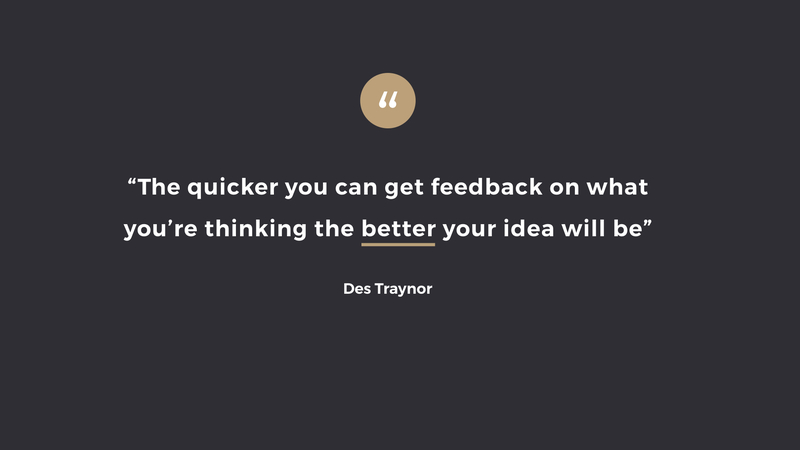 There are many ways you can encourage great feedback. One of these ways is to ensure you are creating a time and space for valuable feedback. One of the most important things I have learned as a designer is that clients want to be involved in our processes, have input and feel heard. That goes the same for the members of teams and other departments. 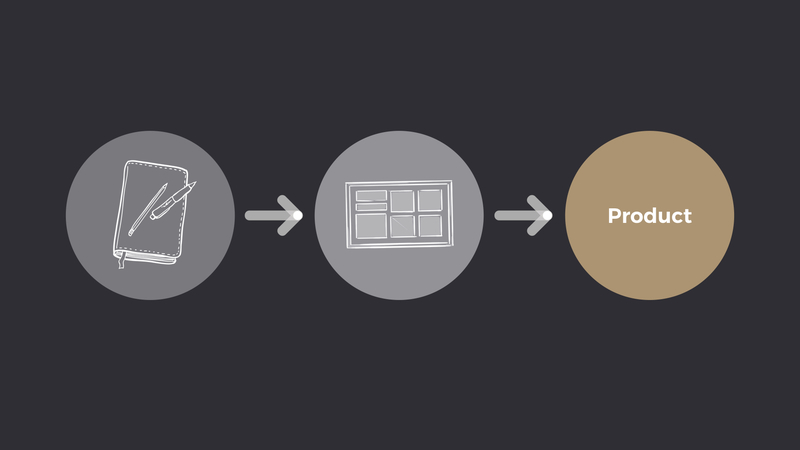 As a provider, it’s important that our processes allows for that input. 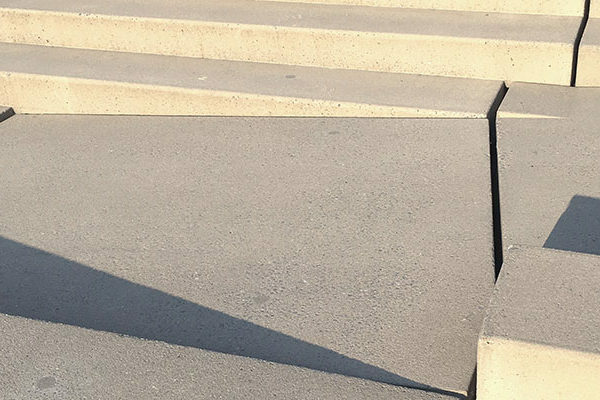 Breaking the many decisions that go into a product or design into smaller pieces and inviting feedback as early and often as possible will not only make the process smoother, but also result in a more engagement and satisfaction. I truly believe that. 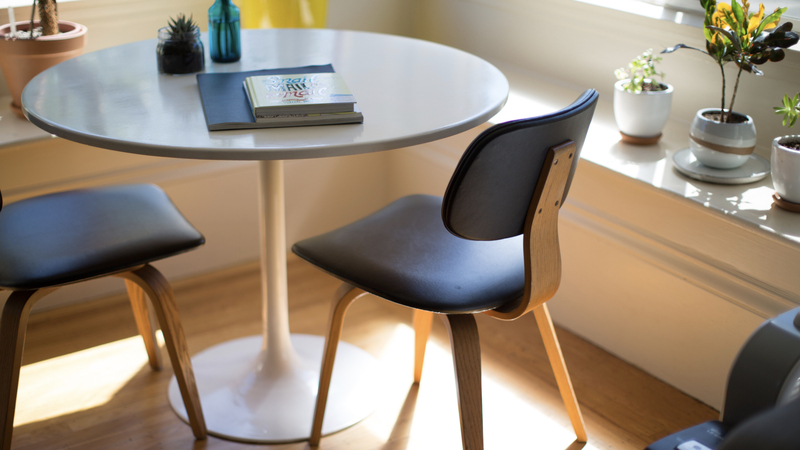 Tighten up feedback loops and evolving your process if you need – so you can invite feedback at various stages and have meaningful conversations. There are already many ways we are already inviting feedback, as an example, sketching out an idea to show a colleague to quickly get their opinion. I’m sure many of you in the room are familiar with style tiles, or something similar; mood boards are the same for branding. These are ways of presenting concepts to a client and inviting feedback early on. We also prototype products before full production. These are all examples of breaking a large process into smaller pieces. And this is a concept that we can apply to many areas of our work, to invite feedback. Creating a space for feedback also means being available for any questions, discussion and to explain your rationale. Part of opening up to feedback is also being prepared. 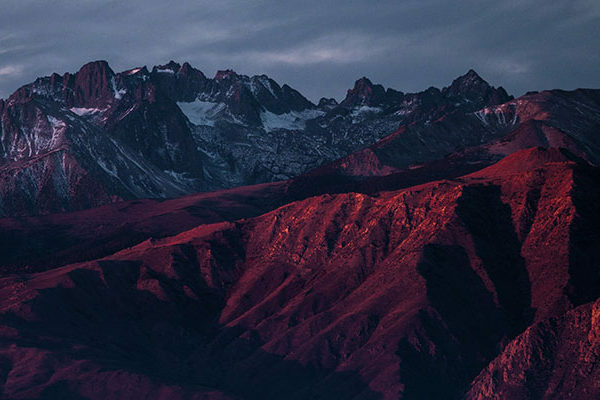 Design will evoke emotions – it is meant to. If we’ve done our job right it can potentially spark a lot of emotions. We hope that we hit the right tone, but we don’t always. We have to be ready to hear that feedback and realign, or to be available to rationalize our approach. Accept that sometimes the feedback you will receive won’t always be exactly what you were hoping. It won’t always be glowingly positive, as we all know. It’s a reality of our roles. This process isn’t about who is right or wrong (and it certainly isn’t about creating the best portfolio piece) it’s about the best solution to a problem. If you were at the last Style & Class event you might remember Stevie presented this slide in talking about diversity. 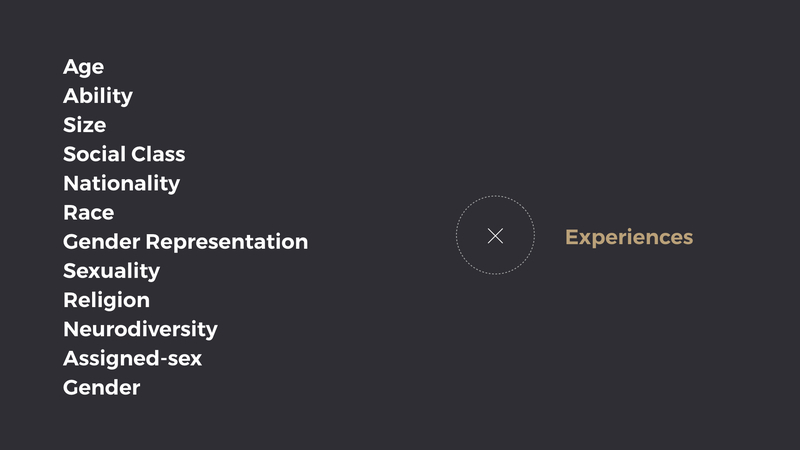 They used this slide to show how diverse we all are – and I wanted to bring it up again, because it is important to consider our diversity, and how that effects how we give feedback and communicate with each other. We should consider diversity beyond simply designing for diversity – but also diversity of our teams and of our clients. When we multiply how diverse we are by the different experiences we have throughout our lives – we all very very different individuals. I’ve had a lot of experience dealing directly with clients, and it is apparent that we don’t always communicate and use words in the same way. Most of us here are in the design and tech space, and we easily understand the common language we use. 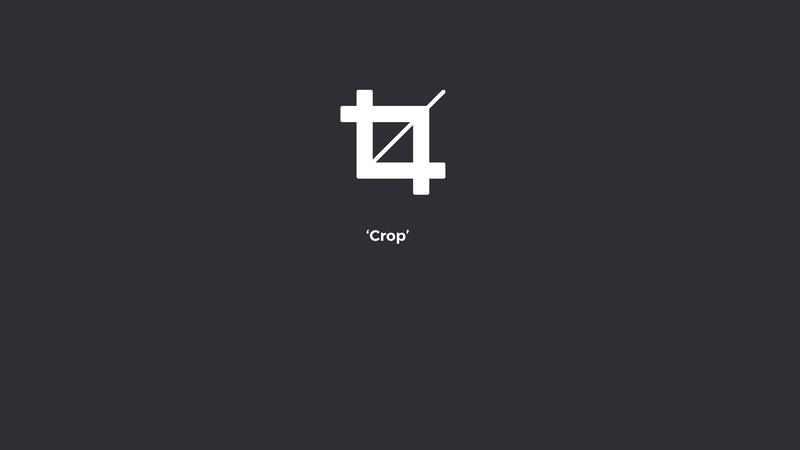 As an example, I had a miscommunication with a client, and it came down to how we were using the word ‘crop’. They weren’t a designer, they hadn’t been involved in design in the same way that I have, they haven’t used the same apps. So their understanding and use of the word “crop” was different. So we defined what the word “crop” meant between us, and how we would use it. I don’t actually remember what their definition was versus my definition – that’s besides the point. It is important not to dismiss someone’s opinion or feedback just because it differs from yours or you can’t understand their perspective. Consider their experiences and where their feedback is coming from. It is important that everyone feels heard. After all it isn’t about you; it is about project goals and achieving them. Be open to the possibility that amazing insights can come from the most unexpected places. 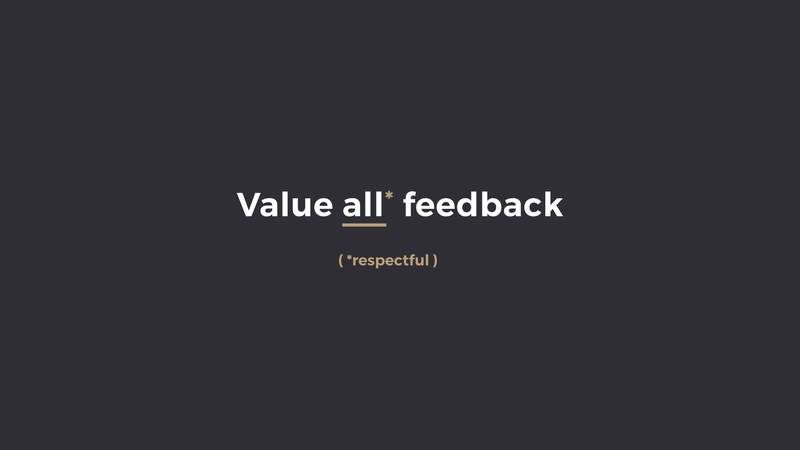 This doesn’t mean that all feedback is valuable however. The feedback may not align with your project goals, and that is ok. It is important to show that you value the feedback, and address why certain pieces might not be implemented. This ensures that the person feels heard, and will set them up to value the feedback process in the future – and provide you more valuable insights. We all need to respect our boundaries. The feedback process shouldn’t ever become a disrespectful space. There is no room for derogatory comments or comments that aren’t constructive. That is not ok. In my work deal with a lot of small to medium businesses – the owners and people working on the client side of those projects are not always versed in design critiques and review. They have so much at stake for their business. It can be a frustrating and loaded time for those clients to express their opinions and thoughts. And that is ok. Make sure that there is lots of time and opportunities for questions so that they feel comfortable and can give feedback. But, if anything crosses over the line – put a stop to it. If you are comfortable, explain why, and provide examples of the feedback you are looking for and why what they are providing is not acceptable. That includes looking out for other colleagues if you feel they aren’t being treated with respect. Let’s look out for each other! It is hard to be in our industry and deal with tough critiques. But that doesn’t mean that anyone shouldn’t be treated in a respectful manner. We are all professionals. 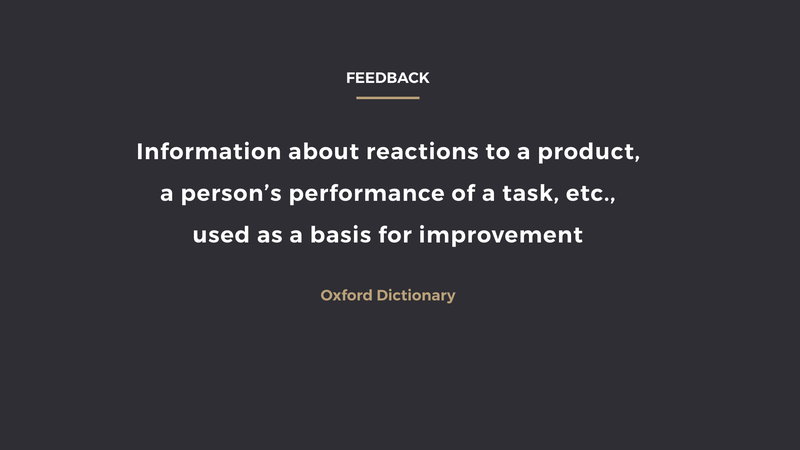 How can we improve feedback processes in our teams? How can we change attitudes to feedback in our industry? Let’s change the conversation from parody and defence to engagement and shared learning. 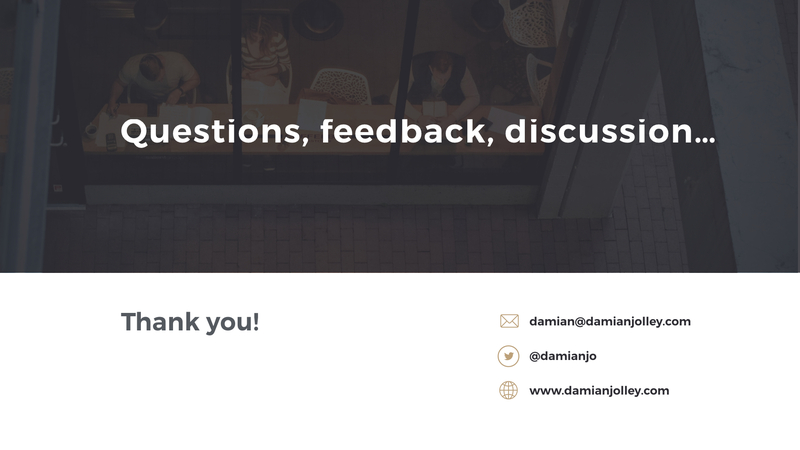 I hope you’ll love feedback as much as I do – it helps us grow, improve and create better products and services. Thank you Style & Class, Steve Fisher and the rest of the team for giving me the opportunity to speak. An extra special big big big thank you to Ashley Pitre for her help, encouragement, support and ideas in preparing this talk – I am beyond grateful. Style & Class is an inclusive, positive and engaged community in the Vancouver design and technology space. If you can make it to one of the events, I highly recommend going. Did you attend? Please let me know your thoughts and suggestions! Wonderful to see it used again! Thanks @damianjo for reminding folks that we all experience the world differently & bring diff perspectives!